Unless your Author is mistaken, the next five photos are of Annual Toadflax in the early bud stage. If anyone disagrees, please write to me. 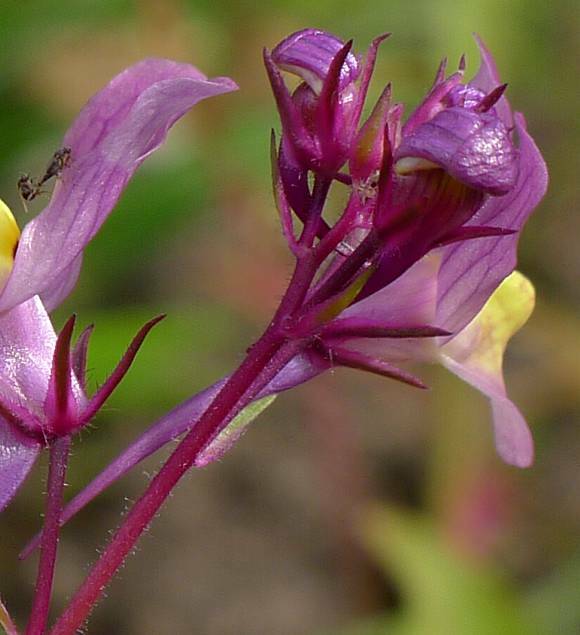 The 6th photo onwards definitely are Annual Toadflax. 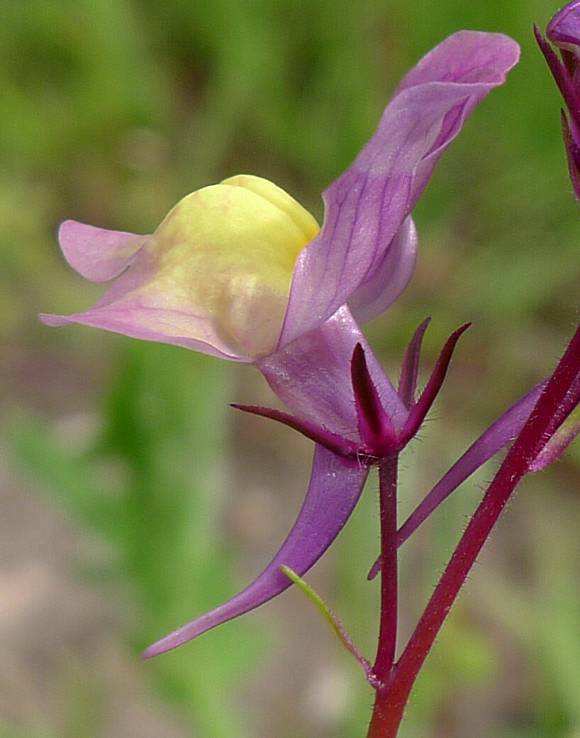 The five narrow and pointed sepals are barely discernible. 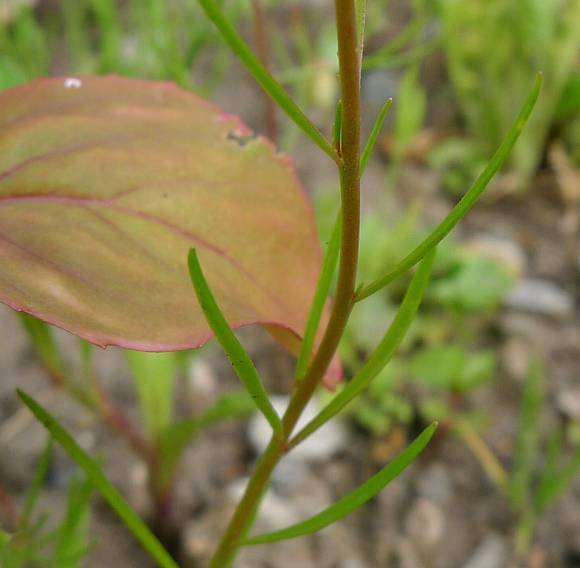 The leaves are typically those of the Toadflax Family; narrow linear. 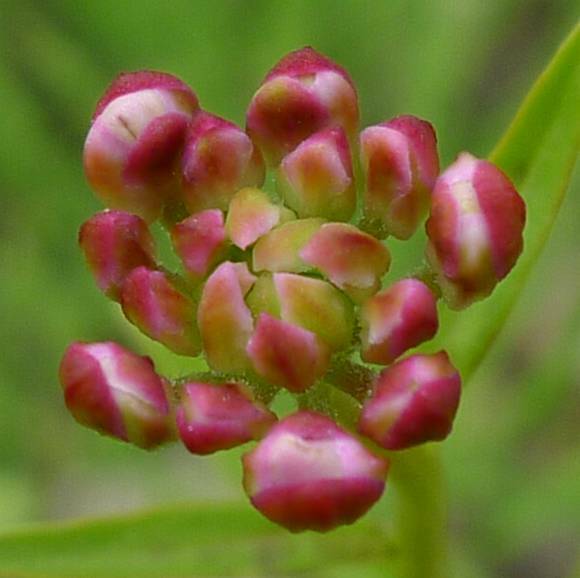 The cluster of flowers start at more or less the same height, but as the plant grows, some must get left further down the stem. 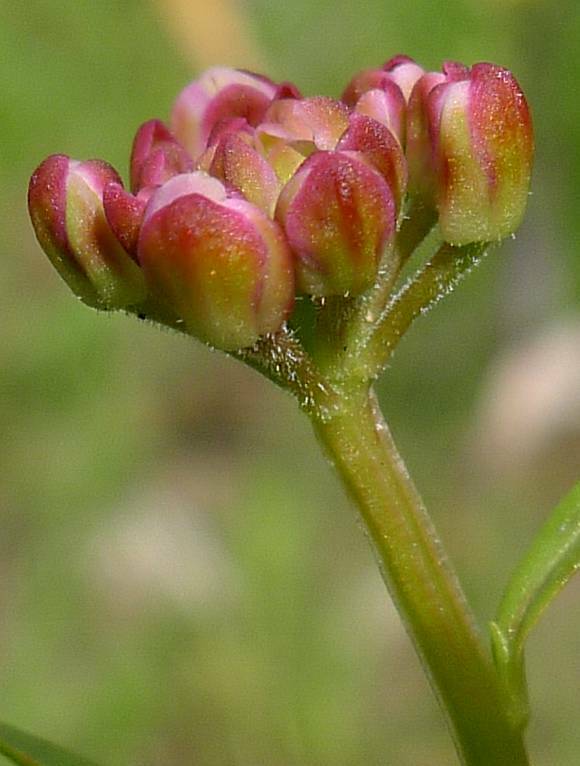 Sepals most visible on the bud at far left. Several flowers fully open. The five narrow pointed sepals splay out beneath. A prominent and long spur sticks down well below the flower. 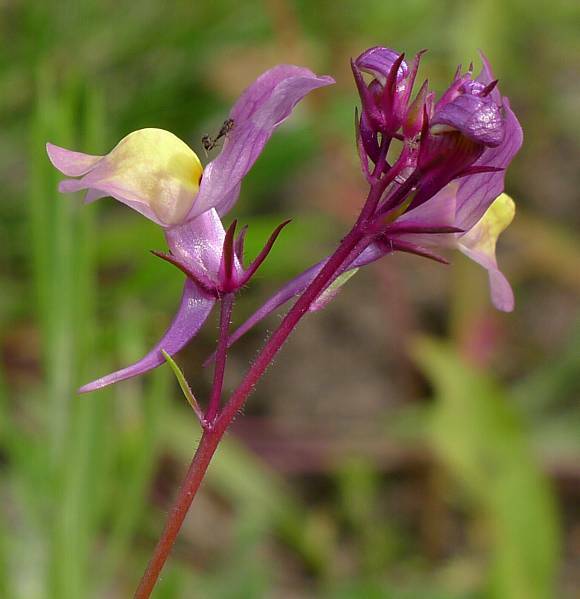 The colour of the flowers is variable; some may be mainly purple with yellow, as here, but others could just as easily be mauve, red or pink with white. 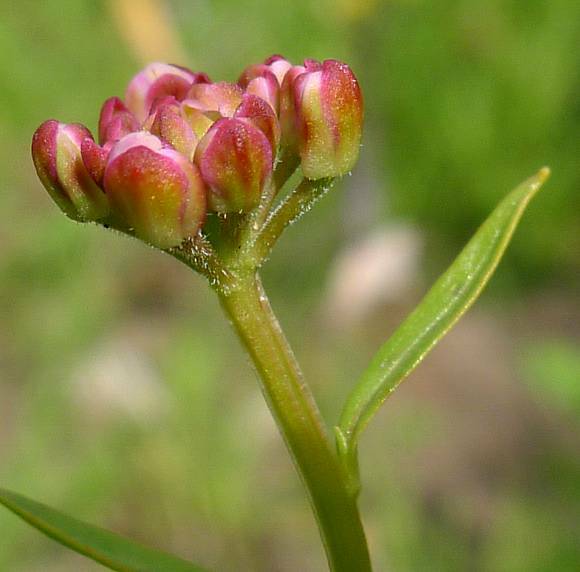 The flower is zygomorphic, with bi-lateral symmetry. There are two lips, an upper and a lower. the upper has two long lobes sticking up as if signalling. The lower has three shorter lobes, and a central bulge that is often of a differing colour, here yellow. Several yet to open flowers are bunched together. Can be mistaken for : Snapdragon but this has two long upright upper lobes, and an enormously long conspicuous spur. 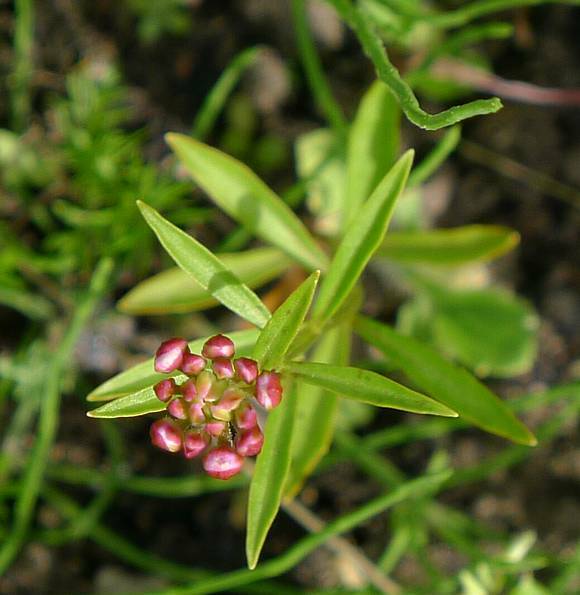 No relation to : Toad Rush nor to Flaxes such as Cultivated Flax (Linum usitatissimum) [plants with similar names belonging to differing families]. 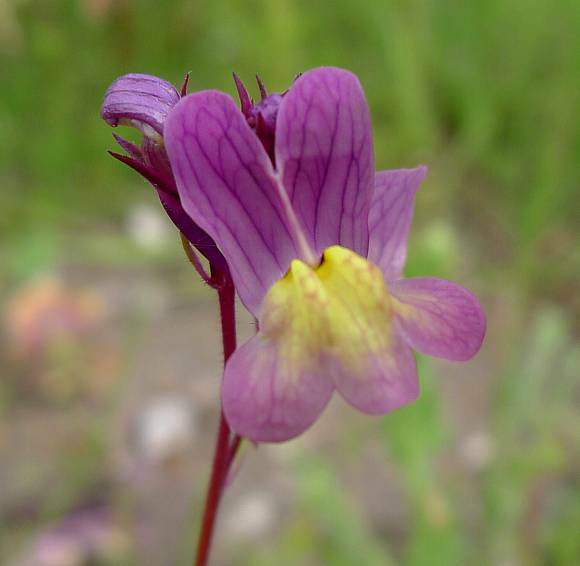 This is a short annual belonging to the Toadflax Genus and which looks similar to Snapdragon. Mainly a garden plant which originally came from Morocco, it escapes and is a frequent casual on waste tips and waste lands, but seldom persists.